From then on go to the website of ProSieben or use their app if supported. Please see supported devices between ProSieben and Unlocator at the bottom of this page. 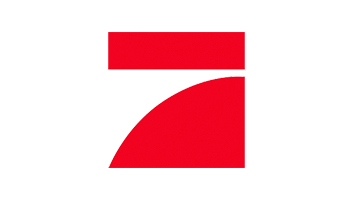 ProSieben is a German free-to-air television network. Streamers in Germany can tune in to the top local shows and international ones as well. You can find the likes of Young Sheldon, The Big Bang Theory, Grey’s Anatomy, Family Guy, and The X-Files. Unfortunately, the channel is not available for viewers residing outside of Germany. Therefore, in order to watch one of the biggest German channels “ProSieben” abroad, you must make use of Unlocator Smart DNS service. As you might understand, the error message tells you that you can only watch this within the German region. Nevertheless, by using Unlocator, you can fake your current location and appear elsewhere, in this case, Germany. All you have to do is sign up for a free Unlocator trial and install the application on your streaming device. Then, you have to configure Unlocator on your platform by following the guides provided below. Once you’re done, you’ll be able to watch ProSieben wherever you are outside Germany. Note that Unlocator doesn’t reroute your traffic or change your IP address. Therefore, you’ll still have the same network speed and access to your local channels respectively. If you are no longer living in Germany, one thing is certain – you won’t be able to watch the latest TV episodes of The Voice Germany, 2 Broke Girls, or The Orville. But the use of Unlocator is the best workaround to watch ProSieben in any country. All you have to do is to sign up for a free Unlocator trial and set it up. As a result, you can watch the channel anytime regardless of your current whereabouts.